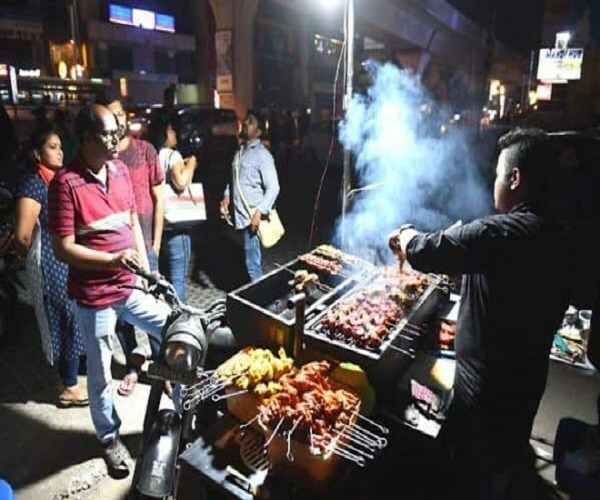 The culture of street eats which held the Hyderabad in its thrall for a while now is a boon to techies who want to try out a variety of cuisines during late hours too. 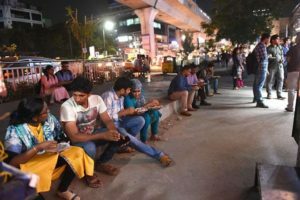 With a booming growth of corporate companies in Hyderabad and a prevalence of graveyard shifts, it is not an uncommon sight these days to find a chain of eateries lined up outside swanky office buildings. But, what it is gradually bringing is an emerging street eats culture in the city with which the night is remaining young and lively till the dawn. Just make a casual visit to a place where a number of corporate offices are housed in a huge building and you will find employees sipping a hot tea, having a bite of crunchy dosas or satisfying their taste buds with lip-smacking shawarmas, in lanes and by-lanes near those buildings. 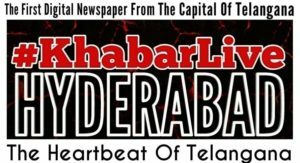 These food joints are not just offering a variety of options to serve different appetites of techies but they have become places to satisfy midnight food cravings of Hyderabadis who are not hesitating to travel an extra mile during odd hours. Be it the eat street near DLF Cybercity in Gachibowli or eateries near Avasa Hotel in Madhapur or food joints opposite to Western Pearl building in Madhapur, to name a few, they have become hotspots for foodies. Gone are the days when Ram ki Bandi in Kachiguda which offers a variety of Dosas was the go-to option for late-night hunger cravings. 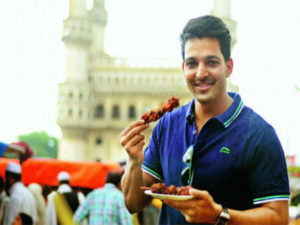 Now, food streets like the ones near the DLF are ruling the roost, courtesy the diverse cuisines that are being offered. Eateries in the lanes opposite to DLF building are open for public till 4 am which are making a big business mainly due to the presence of various corporate offices housed inside the DLF building. 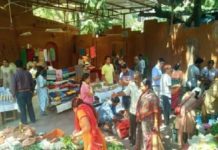 These stalls offer all kinds of food from north Indian to south Indian to Chinese and northeast; just name the food, you will have it here. They have also become spots to introduce a newer variety of tastes which the city never heard of. One such offbeat beverage is Tandoori Chai which gives a natural taste of soil in every sip you have. Tandoori Chai was popular in other cities like Mumbai but was first introduced in Hyderabad at the DLF eat street. Such huge is the scale of business here, even small size food vendors are earning decent bucks. “We sell more than 300 plates of Maggie every day and we also get online orders from surrounding areas of Kondapur and Madhapur,” says Surender, owner of Hunger Adda Maggie point, one of the crowded eateries at the DLF. 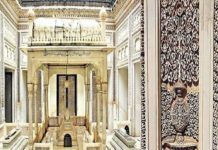 Wherever you look around this place, there is a chance that you might end up finding some eatery which will serve something new, unique, and differently delicious. This very presence of a chain of eateries at the place literally made it the biggest eat street in the city and has turned out to be a boon for the techies working inside DLF building. “We have limited food options inside our cafeteria; there are hundreds of options here and we can find every variety at the same place. I like Irani Chai and Bobbatlu,” said Kavya Beerval, an employee of Cognizant. Unlike other eatery chains in the city, DLF eat street has the distinction of getting crowded by students because two universities – University of Hyderabad and IIIT, are located near this food junction. “The place offers tasty food at a reasonable price and also food is available even during odd hours. 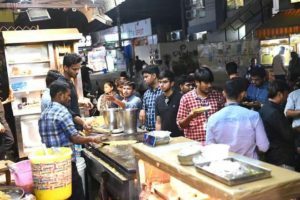 The presence of this huge chain of food stalls near our campus is also a kind of relaxation to go and hangout out with friends during midnight,” said M Vishnu Priya, a student of the University of Hyderabad. “Living away from home, late night food cravings are always a part of my life for a hosteller like me. DLF food junction offers a variety of food and beverages to satisfy those cravings. Going there with a small group of friends and sharing the food with them makes it even better,” said another student, V Sravan. What Will Happen When ‘Hospitals Infect’ You?